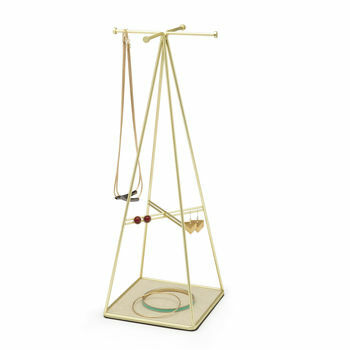 A contemporary geometric brass prism jewellery stand. 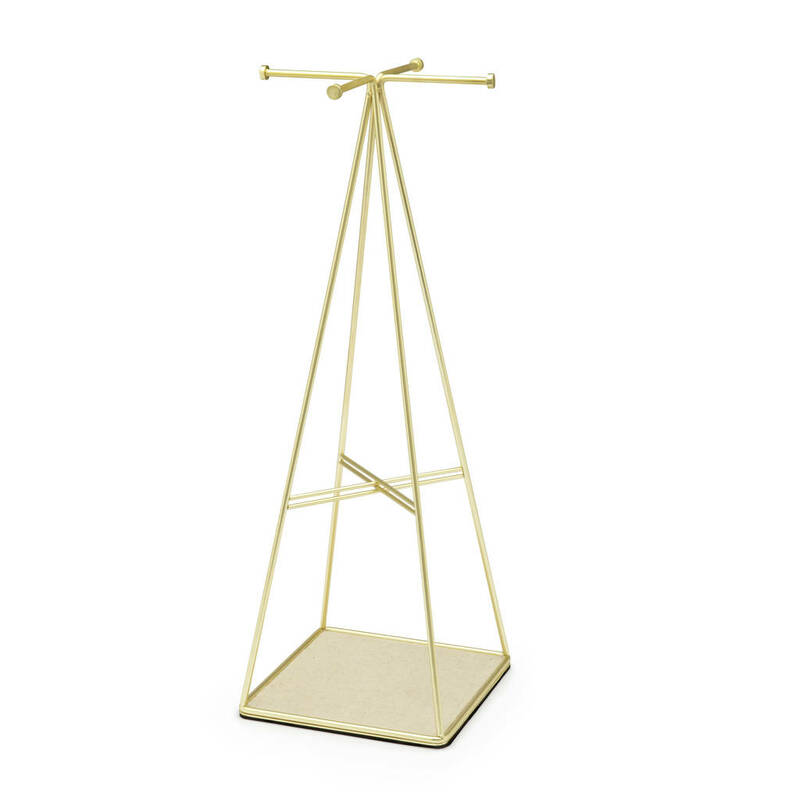 This striking jewellery stand, comes in a geometric prism shape and has a matte brass powdered coated finish. 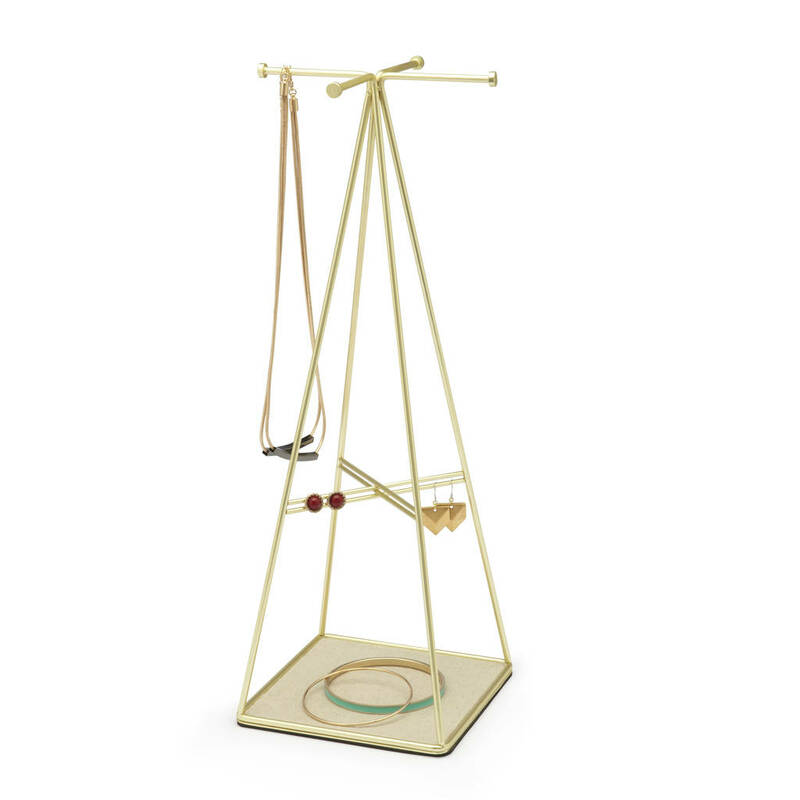 This brass jewellery stand The delicate and unique design of this jewellery stand really stands out making it a really lovely addition to a dressing table. 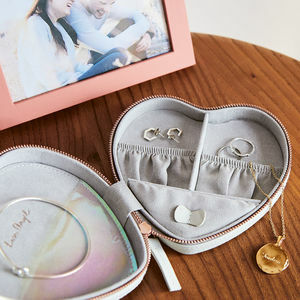 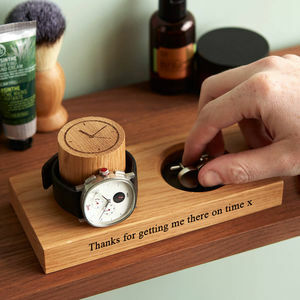 The jewellery holder has four arms to hang necklaces, rings and bracelets and the base of the jewellery stand allows space for bracelets, cufflinks and rings. 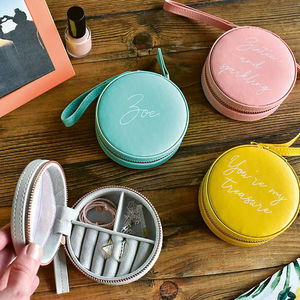 There is also an additional cross mid level section, providing space to hang earrings and hold studs. 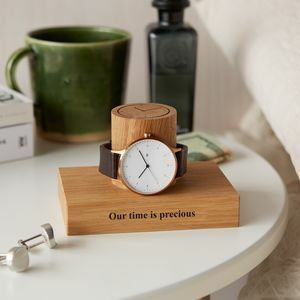 A beautigul decorative and practicaljewellery storage solution for the bedroom.